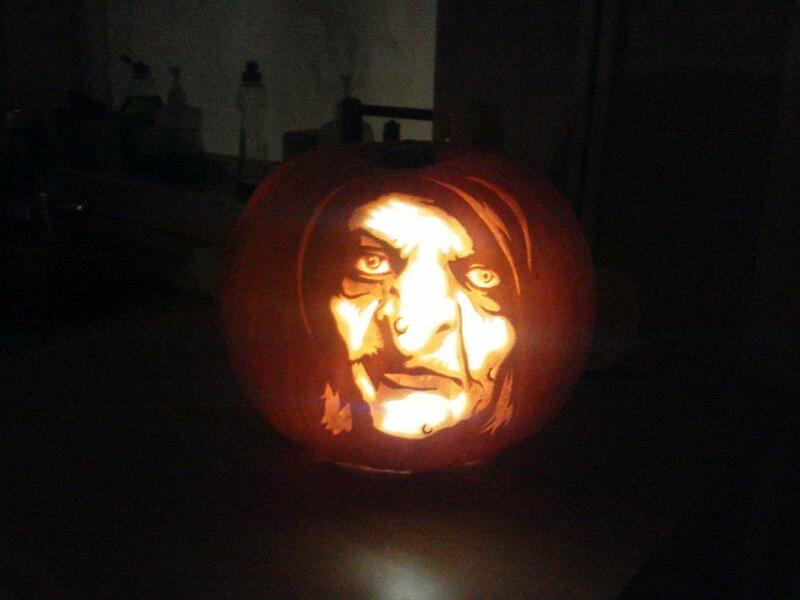 Hi all, I hope you had a fantastic Halloween. 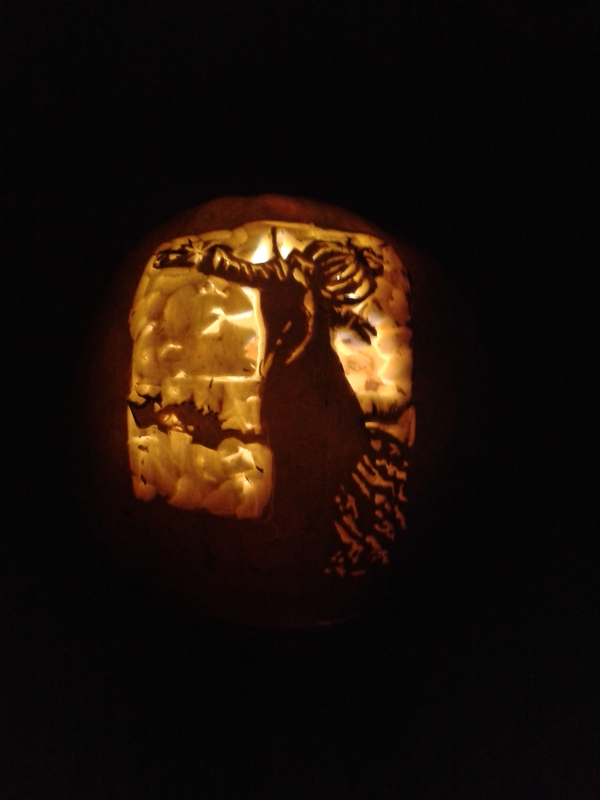 As promised here are the other photos, 2 of the pumpkin ideas came from the carving pumpkins website of which I am a member. 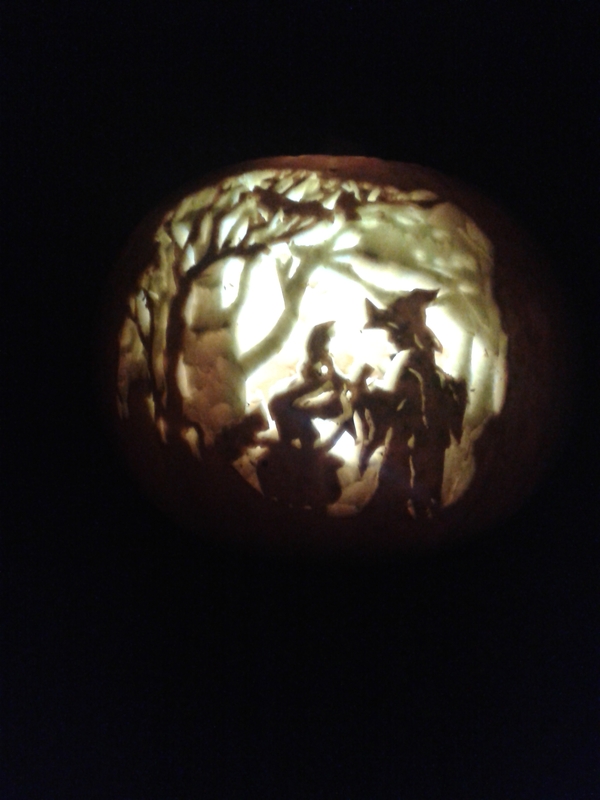 I used a stencil for parts of the witch and free handed the trees, I was really pleased with it because it looks a lot like the original image. 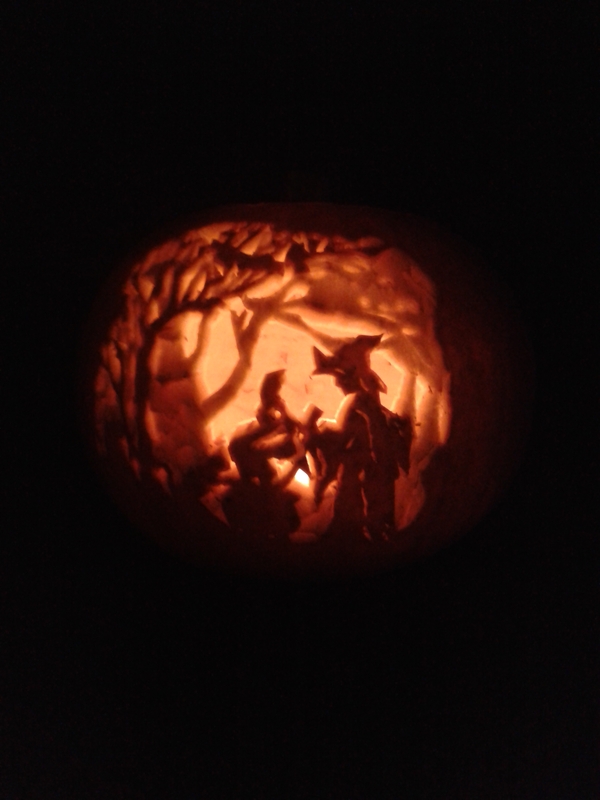 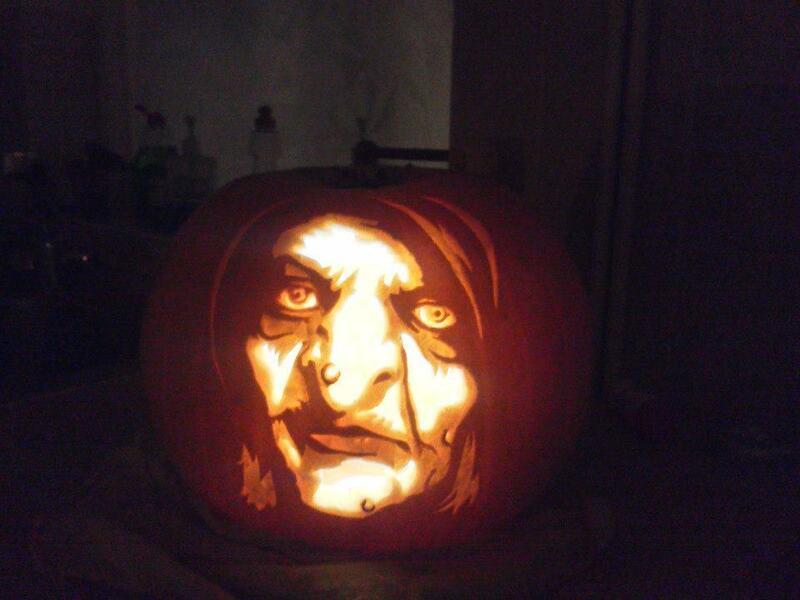 The scarecrow was so fiddly I free handed it by drawing on the pumpkin. 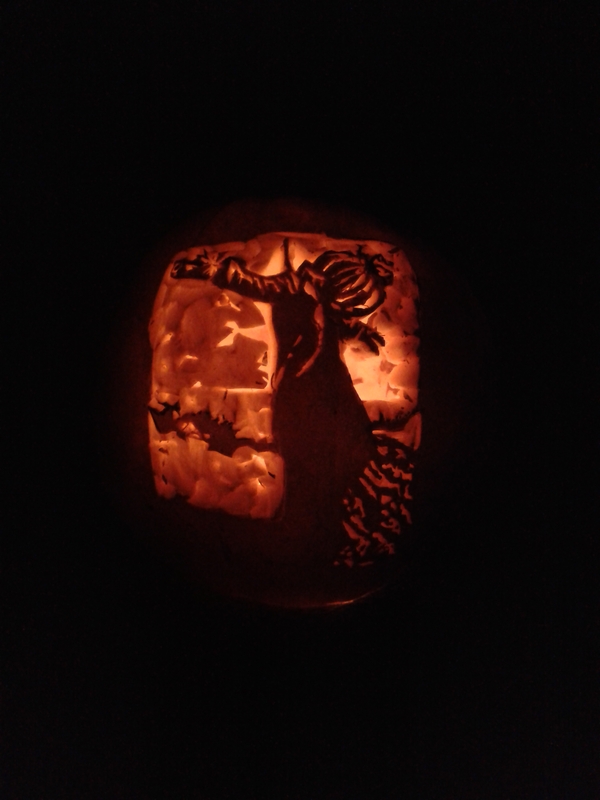 I made a few mistakes and accidently added some pumpkins on the bottom left side, use your imagination, I am sure you will spot them. 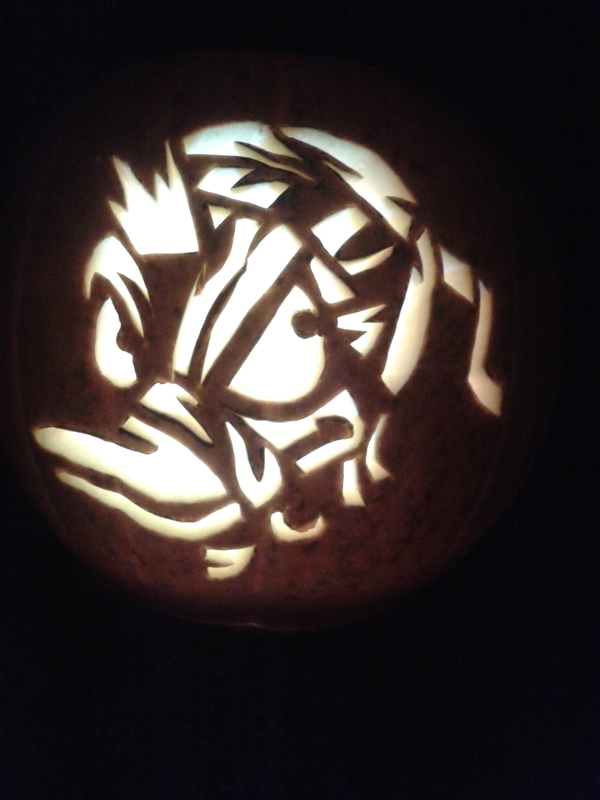 We did the mummy’s duck as my little boy loves ducks, he quacked at it when he saw it too. 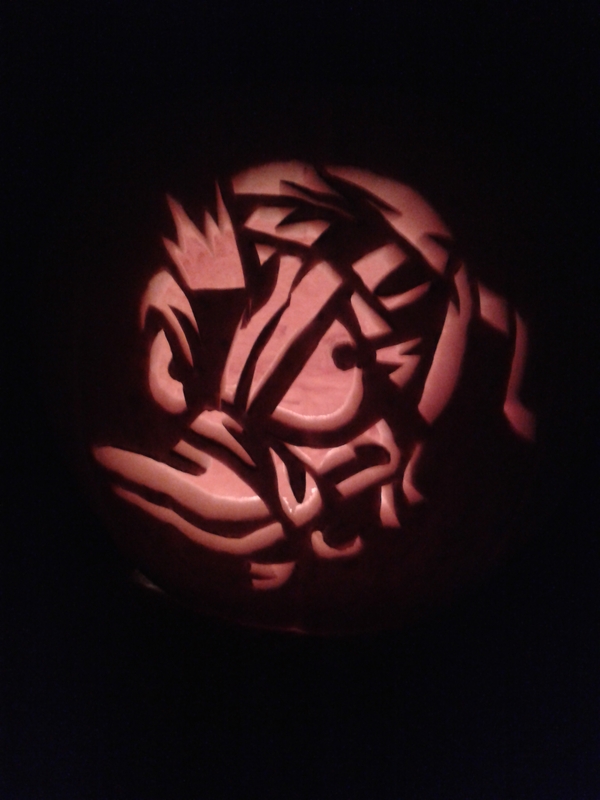 We were thinking of doing the squawking dead or poultrygeist but I think he’s a little too young to understand.